The current complex financial landscape requires expert guidance and a steady hand. Geriann believes that client relationships are built on personal attention, clear communication, transparency, thorough research and cutting edge plans. She listens intently to your concerns, values and experiences as part of designing a unique strategy for you. She operates her own independent business for the freedom to best serve you. For those within 10 - 15 years of retirement, your focus will shift from the stressful competition of accumulating the most assets or getting the best short-term returns. You will require a dependable income stream in retirement, with less worry about market downturns or running out of money. There is an art & science to combining and managing various sources of income. 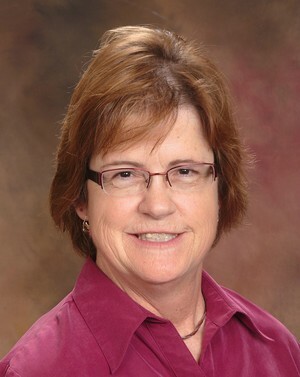 Geriann has served clients in the personal financial planning world since 2005. Prior to that, her career was with Fortune 500 companies, so she can closely relate to her clients’ perspectives. Her path to personal finance was motivated by the opportunity to run her own independent business and to make a difference in people’s lives. She grew up in the Milwaukee area and graduated from Marquette University in 1978 with a degree in Mechanical Engineering. She earned a Master’s degree in Environmental Engineering in 1999 from the Milwaukee School of Engineering. Geriann has a Series 7 license offering securities through First Allied Securities, and a Series 66 license offering advisory services through First Allied Advisory Services. To schedule your complimentary initial consultation, call Geriann today at 608-318-2633 or e-mail her at gengle@1stallied.com.